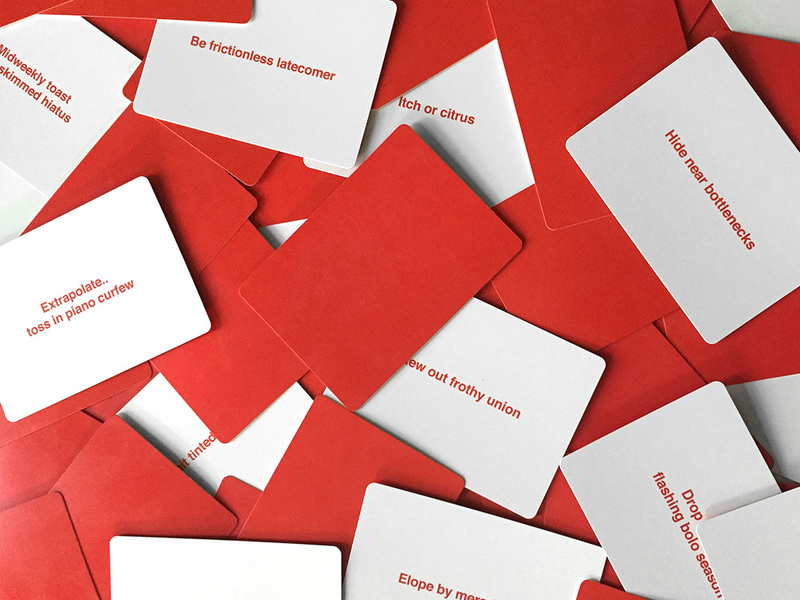 Every artist loves the Oblique Strategies, the infamous card set created in 1975 by Brian Eno and Peter Schmidt. 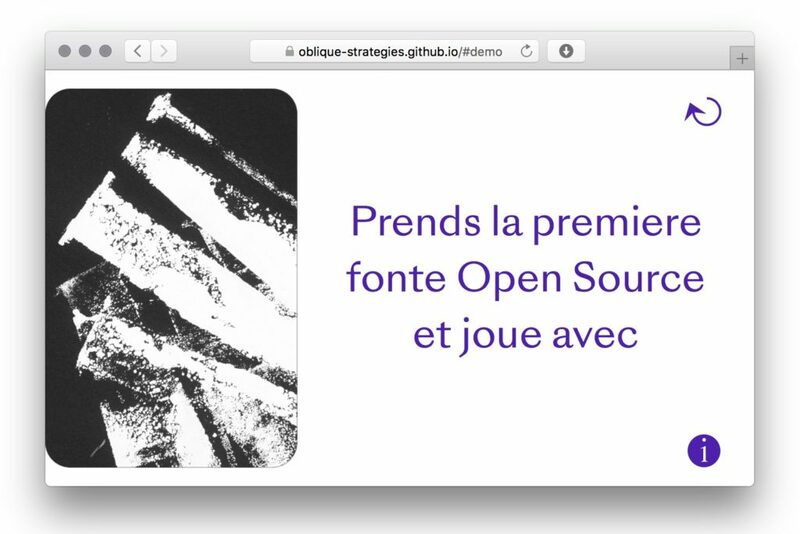 Not only has it been adapted and re-hashed numerous times in various media, including websites, a MaxMSP patch, and a reincarnation as anagrams. It also appears to be a very popular subject of assignments in Interaction Design education. A search on Github returns currently 138 results, many of which appear to be teaching assignments. 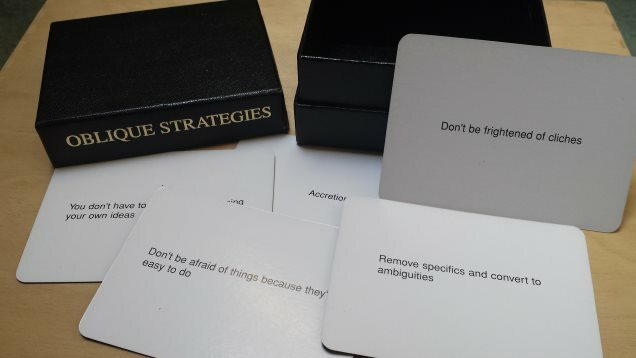 An official edition of the Oblique Strategies cards. 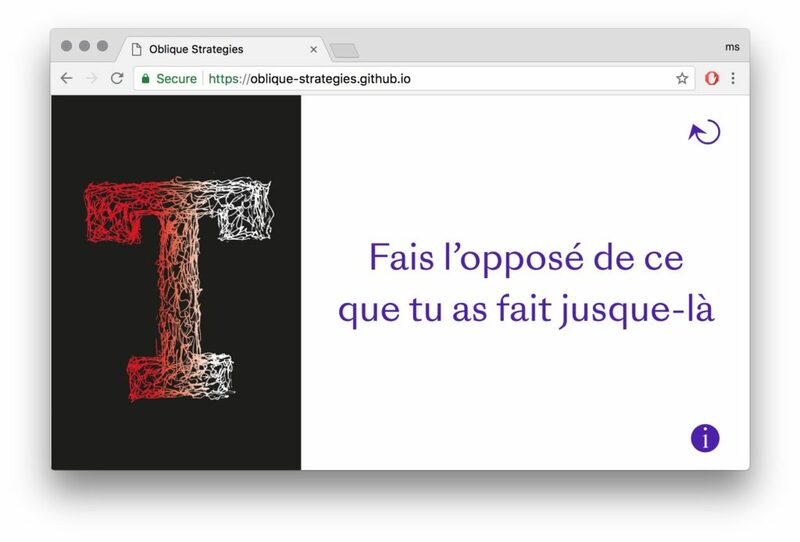 Anagrams based on Oblique Strategies. Created by Noah Wall. This design assignment consisted in two parts: first, the students, working in pairs, had to create a series of 20 – 30 illustrations and to design a printed set of cards, including an original packaging. The second part consisted in creating a website that would allow to browse the cards and illustrations. 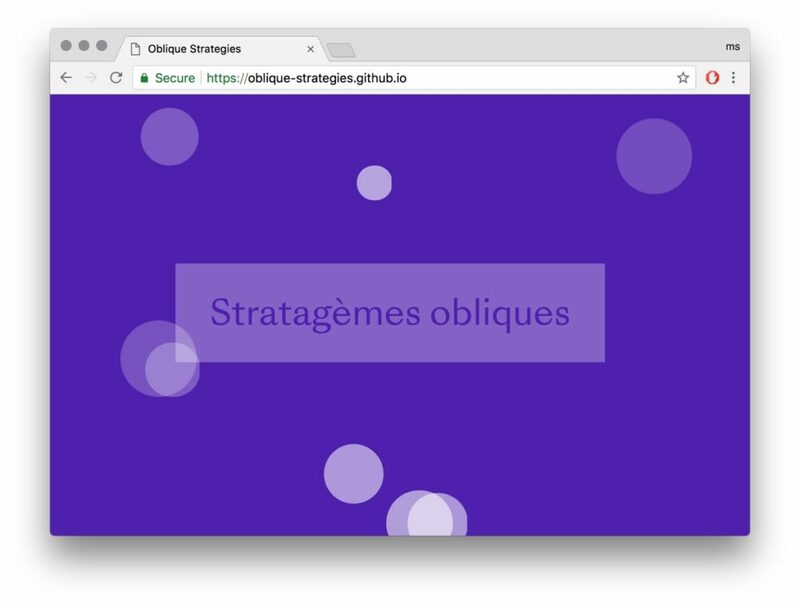 The website was completed in June 2018, and can be visited at oblique-strategies.github.io. 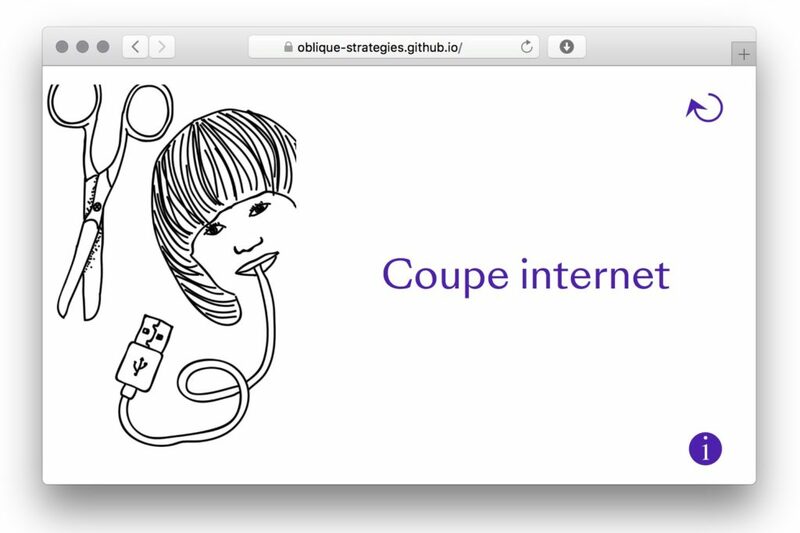 The source code is available on Github, and a detailed write-up has been posted.